If you are working on developing a website and test your pages in Apple Safari, you may want to completely disable page caching so that your pages are never cached. We show you how with this tutorial. Note: This process only turns off caching for the current browsing session. Select the “Safari” menu, then choose “Preferences“. If you don’t have the Menu Bar enabled, select the settings gear, then choose “Show Menu Bar“. 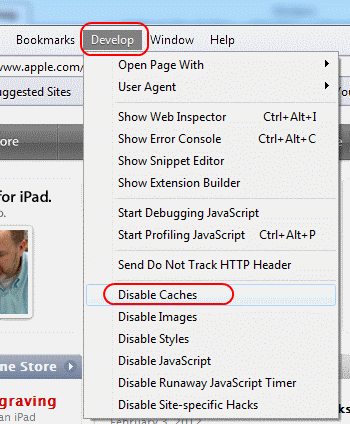 Select “Develop“ > “Disable Caches“.